As the restaurant supply superstore, we carry Flavored Syrups to help restaurants and bars create delicious tasting drinks and desserts. Our Flavored Syrups include caramel, vanilla, hazelnut, irish cream, cherry, lime, raspberry, and mocha. 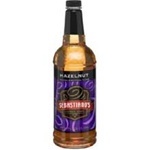 FSI Beverage Sebastianos Hazelunt Flavored Syrup - 750 Ml. FSI Beverage Sebastianos Raspberry Flavored Syrup - 750 Ml. FSI Beverage Sebastianos French Vanilla Flavored Syrup - 750 Ml. FSI Beverage Sebastianos Mocha Flavored Syrup - 750 Ml. FSI Beverage Sebastianos Single Strength Cherry Syrup - 2.5 Gal. Monin Caramel Flavor Syrup Glass - 750 Ml. Monin Hazelnut Flavor Syrup Glass - 750 Ml. Monin Mint Green Flavor Syrup Glass - 750 Ml. Monin Raspberry Flavor Syrup Glass - 750 Ml. Monin Vanilla Flavor Syrup Glass - 750 Ml. Monin Sugar Free Vanilla Flavor Syrup Glass - 750 Ml. Syrup Sebastianos Caramel Flavored - 750 Ml. 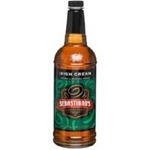 Sebastianos Irish Cream Flavored Syrup - 750 Ml. Granny Apple Smith Flavor Syrup - 1 Ltr. Irish Cream Flavor Syrup - 1 Ltr. Peach Flavor Syrup Glass - 750 Ml. Seasonal Peppermint Flavor Syrup - 1 Ltr. Desert Pear Flavor Syrup - 1 Ltr. Monin White Chocolate Syrup - 750 Ml. Flavoring Da Vinci Vanilla Classic Syrup - 750 ml. Coconut Flavor Syrup - 750 ml. Pure Cane Syrup - 750 ml. Wholesale Flavored Syrups for your restaurant and food service beverages. Create great tasting coffees, teas, milkshakes, and other beverages to keep your patrons coming back again and again.